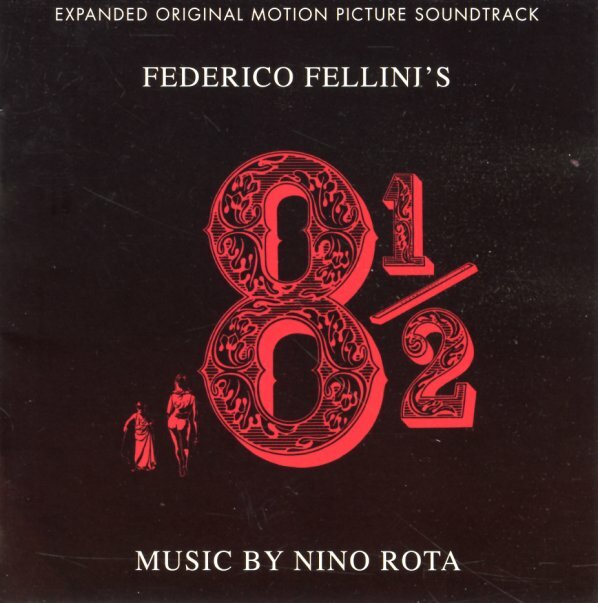 Beautiful work by Nino Rota – filled with the kind of classic themes that distinguished his best work for Fellini. Carlo Savina conducted, and he does an excellent job with Rota's ideas – crafting them into short little packets of sound, woven tightly into little balls that pass back and forth as the mood of the film changes, in a similar mode to the scoring for La Dolce Vita. This excellent 2CD version from Quartet has the complete film score on disc one – with 29 tracks in all. Disc two features the original 1963 soundtrack album plus 9 bonus tracks! 130 minutes of music! Titles include "Tunnel", "Otto E Mezzo", "Cimetero", "La Passerella D'Addio", "Concertino Alle Terme", "E Poi", "Riccordo Di Infanzia", "L'Harem", "Cigolettes Da La Banda Delle Libellule", "L'Ullusionsta" and many more. © 1996-2019, Dusty Groove, Inc.